We understand that you have options when you’re looking for a compact sedan around Mechanicstown. 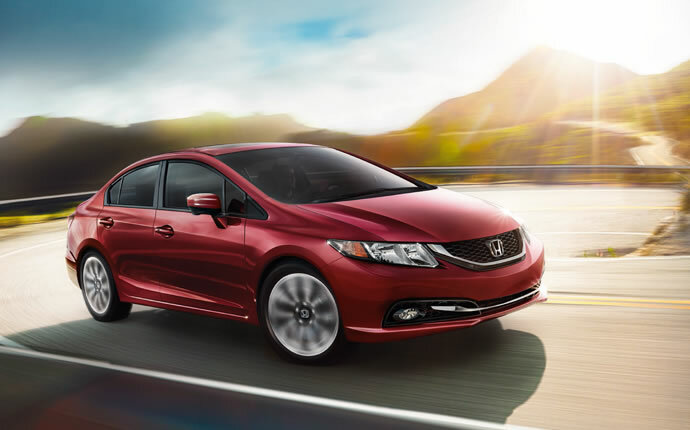 The 2015 Honda Civic Sedan has long been a leader in this class in large part thanks to its exceptional features, phenomenal efficiency, and its practicality. You can try the new Civic at Middletown Honda, but we realize that you might also want to consider a competing model such as the 2015 Mazda3 Sedan. So how do these models measure up to one another? Read on for details. LX – Starting at $18,490,* the entry-level LX gives you full power accessories, air conditioning, a five-inch display screen, a rearview camera, Bluetooth phone and audio connectivity, SMS text messaging functionality, a four-speaker sound system with CD player, and Pandora radio functionality. If it sounds like a generous set of features for a base model, that’s because it is! SE – The SE has a base MSRP of $19,990,* and adds a right-side blind-spot camera, automatic climate control, HondaLink smartphone integration, and a six-speaker audio system. EX – $21,190* is the base MSRP of the EX, and if ups the ante with keyless ignition and entry, automatic headlights, a sunroof, a seven-inch touchscreen display, and an HDMI interface. EX-L – The EX-L starts at $22,840,* and it comes equipped with heated mirrors, heated front seats, leather upholstery, and an eight-way power driver’s seat. You can also add a navigation system. 3i SV – Starting at $16,945, this model comes with full power accessories, air conditioning, and a tilt-and-telescoping steering wheel. 3i Sport – Starting at $18,445, this trim adds cruise control, a 60/40-split folding rear seat, Bluetooth, and a six-speaker sound system with a CD player. 3i Touring – Starting at $19,595, this model drops the CD player, and adds fog lights, keyless ignition and entry, and a rearview camera. 3i Grand Touring – Starting at $22,745, the 3i Grand Touring gives you leatherette upholstery, heated front seats, and an auto-dimming rearview mirror. 3s Touring – Starting at $23,845, this model adds a more powerful engine and paddle shifters. 3s Grand Touring – Starting at $25,045, this model also includes the more powerful engine, leather upholstery, and an auto-dimming rearview mirror. 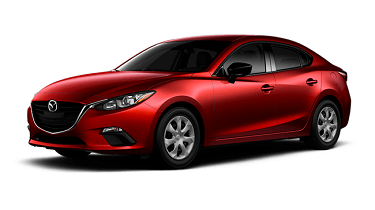 The base model of the 2015 Mazda3 Sedan costs a bit less than the base model of the 2015 Civic Sedan, but that comes with its own cost: fewer features. An infotainment system, Bluetooth, and a rearview camera are just some of the things that come standard with the new Civic Sedan that cost more with the Mazda3 Sedan. A 2.0L four-cylinder that makes 155 hp and 150 lb-ft of torque. 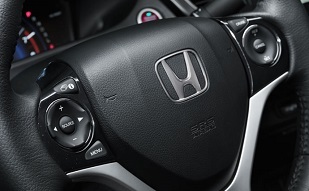 With a manual transmission, this engine offers 30 mpg city. A 2.5L four-cylinder engine that offers 184 hp and 185 lb-ft of torque. With an automatic transmission, this engine offers 28 mpg. This engine comes with the 3s Touring and 3s Grand Touring models — both of which cost more than the 2015 Civic Sedan EX-L.
It’s also available with the Honda LaneWatch blind-spot camera. It’s no wonder the 2015 Civic Sedan earned the top rating of “Good” from the Insurance Institute for Highway Safety (IIHS) in small-overlap frontal offset, moderate-overlap frontal offset, side-impact, and roof-strength tests. 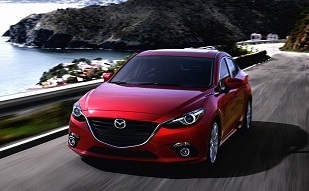 Safety is an area in which Middletown drivers will find the 2015 Mazda3 Sedan to be comparable. It comes with anti-lock brakes, stability control, and airbags. A rearview camera is optional. It also earned a “Good” rating from the IIHS in small-overlap frontal offset, moderate-overlap frontal offset, side-impact, and roof-strength tests. 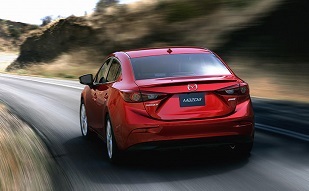 The 2015 Mazda3 Sedan is a good car — but why would you settle for “good” when you could do better? 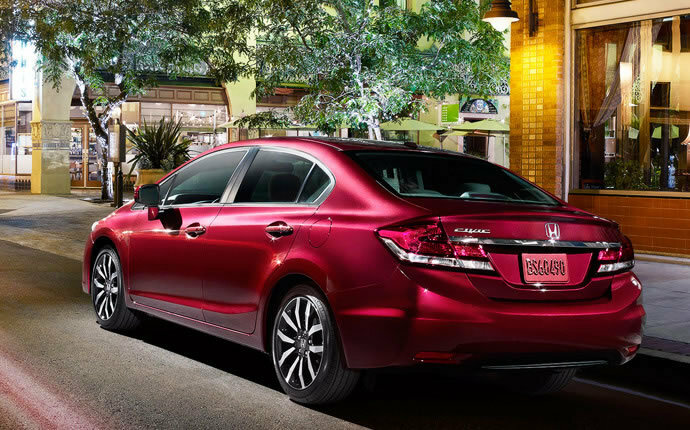 The 2015 Honda Civic Sedan offers stellar efficiency, features, and safety, and it’s available now at Middletown Honda. 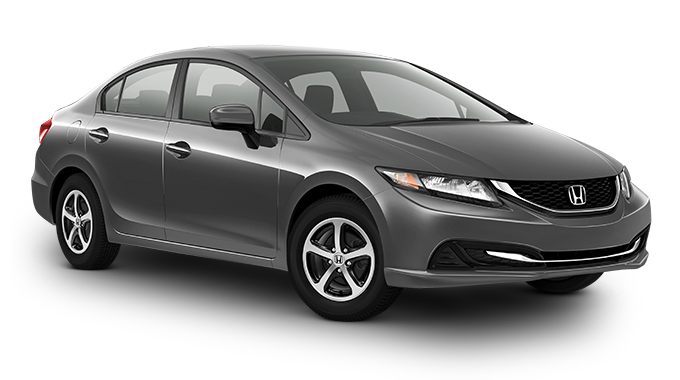 Our dealership is located at 511 Route 211 E. in Middletown, NY, just a short drive from Mechanicstown, and we invite you to visit our dealership to see the new Civic Sedan for yourself. * MSRP excluding tax, license, registration, $790.00 destination charge and options. Dealer prices may vary.